Most of these investors make up your pool of family, friends, co-workers, and people you interact with regularly. Usually, these people don’t understand how to perform the necessary due diligence in making a decision to invest. This group also tends to make assumptions. For example, if a manager holds a degree from Harvard or has experience from a top financial firm, this aspect alone would persuade investors to follow suit ignoring the probability of fraud. In addition, they heavily rely on personal acquaintance and recommendations from either you or someone you may know. If you ask for a check, and they trust you, this group will most likely give one to you. This group is a bit more sophisticated by conducting a minimum amount of due diligence into the manager’s performance. Once they are satisfied with the performance on paper, they will meet with and usually shower the manager with questions regarding every aspect of the fund, including returns, performance, strategies, and risks. What is written and spoken by the manager is taken into faith and the information is not properly verified by the investor. This type of investor is sometimes considered a nuisance by busy professionals who might caught off-guard by their questions. 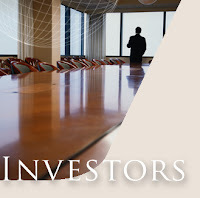 Not only will the investor keep the manager’s number on speed dial, the investor will perform the due diligence above and beyond the type mentioned above and also go far as to understanding the entire operation of the fund as if he or she were the manager. This type would also interview members of the manager’s staff. The investor would also look into the balance sheet, cash controls, reporting, and other functions, not directly related to performance. Nuisance? The due diligence collected by this investor is thoroughly reviewed independently. Investors in this category know that independent opinions are extremely important. They will contact the auditor, custodian and administrator in addition to the SEC and/or state securities agency. They won’t sign on the dotted line until they are satisfied independently verifying everything that matters, including, assets under management, returns, and even a year end audit. They fully understand the risks that are involved. Nobody likes to be put in a box, but it is important to realize that the types of investors can vary widely so the array of marketing materials you have should include brief one pagers to very detailed institutional-quality PowerPoint presentations and third party analysis for those most scrutinizing parties. My experience has been that marketing material first built to the highest standard and then summarized into smaller "dumbed down" pieces later can be very effective and versatile.